In most cases, applications of methods in basic and translational cancer research that are discussed in the text represent the first uses of these proteomics approaches to study any disease. The unique proteomic features that characterize cancers offer new opportunities for disease prevention and treatment. Despite intense interest, however, proteomics is just beginning to become a part of the cancer research mainstream, as relatively few cancer researchers have training in proteomics methods and approaches. 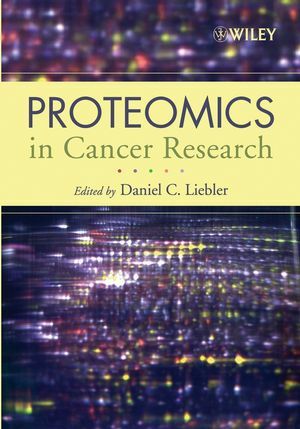 This book, therefore, is both a timely and an essential guide that will help readers understand key concepts of proteomics and use its methods to search for ways to both cure and prevent cancer. Dr. Daniel C. Liebler is Professor, Department of Pharmacology and Toxicology, and Director, Southwest Environmental Health Sciences Center at the University of Arizona College of Pharmacy. He is also Director of the Toxicology Training Program and a member of the Arizona Cancer Center, as well as the author of Introduction to Proteomics (2001). 1. Essential Elements of a Proteomics Laboratory (Daniel C. Liebler). 2. Mass Spectrometry Tools for Proteomics (Li-Rong Yu, Ming Zhou, Thomas P. Conrads, and Timothy D. Veenstra). 3. Gel-Based Proteomics: An Essential Core Technology in Translational Cancer Research (Julio E. Celis, Irina Gromova, Jose Moreira, Tereza Cabezo, Fritz Rank, and Pavel Gromov). 4. 2D Gel-Based Proteomic Analysis of Cancer (Sam Hanash). 5. Analysis of Protein Posttranslational Modifications and Protein Adducts (Daniel C. Liebler). 6. 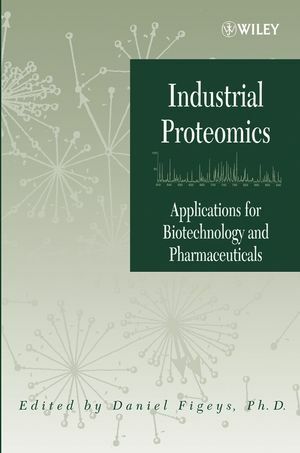 Bioinformatics Tools for Proteomics (Daniel C. Liebler and David B. Friedman). 7. Tissue Profiling and Imaging by Matrix-Assisted Laser Desorption Ionization Mass Spectrometry (Robert L. Caldwell and Richard M. Caprioli). 8. SELDI-TOF Applications for Cancer and Toxicity Detection (Emanuel F. Petricoin and Lance A. Liotta). 9. Protein Microarrays: Applications for Discovery and Quantitation (Virginia Espina, Julia Wulfkuhle, Emanuel F. Petricoin III, and Lance A. Liotta). 10. Protein Arrays for Clinical Proteomics and Signal Transduction Profiling (Fiona Simpkins, Victoria Espina, Edwin Posadas, Emanuel F. Petricoin III, Lance Liotta, and Elise Kohn). 11. Tissue Microarrays in Basic Cancer Research (Stephen M. Hewitt). 12. Structural Proteomics: High Throughput Structure Determination of Whole Organism Genomes (Demetrios T. Braddock).